Whirl butter flavored oil adds delicious butter flavor to everything you make, without the hassles of butter or margarine. 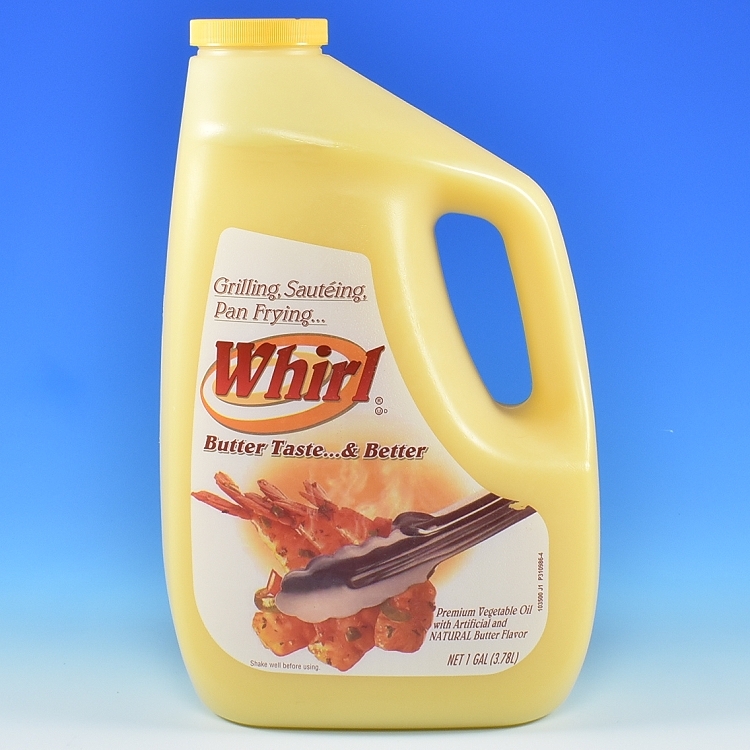 Whirl's authentic butter flavor makes it great for brushing on pizza crusts and breadsticks and as a replacement for butter or margarine in wing sauces. Best of all, Whirl is up to half the cost of butter! **In recipes calling for non-clarified table spreads use 20-25% less Whirl and add water or milk to make up the balance of the specified measurement.